A Horsham man who was treated for cancer has told of his battle to get travel insurance – after he was quoted more than £4,400 to cover a two-week trip to Mexico. Tony is one of thousands diagnosed with cancer – even as long as ten years ago – penalised by what cancer support charity Macmillan dubs ‘one-size-fits-all’ policies. Tony was initially diagnosed with bowel cancer in 2015 and had keyhole surgery. But a year later, secondary cancer was discovered and he underwent surgery on his liver and had chemotherapy. “In between treatments my doctor said ‘Have a good break’. I said’ How?’. In many cases like this, the cover is more expensive than the holiday, really silly prices. These companies need to understand that behind every application is an individual. A Macmillan survey of more than 2,000 people who have had cancer revealed an estimated 8,500 British holidaymakers who applied for travel insurance following a cancer diagnosis were unable to get a policy despite the fact that they were diagnosed with cancer a decade ago. Independent watchdog the FCA has expressed concern that consumers find it difficult to access the specialist travel insurance market and it has announced today that it will work with key industry stakeholders to create a new service which will redirect customers to specialist providers. 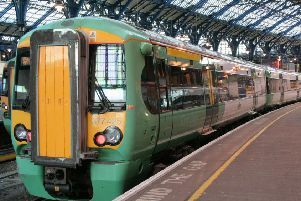 Responding to the announcement, Macmillan Cancer Support’s executive director of policy and impact Fran Woodard said: “We welcome commitments today from the FCA to work with providers to make it easier for people with cancer to find suitable travel insurance, but we are disappointed that these proposals do not go even further. Improved signposting will only benefit people with cancer if, at the end of it, there is fair and affordable cover available. “No two cancer experiences are the same and if travel insurers want to meet the need for people with cancer, they must update their oversimplified medical screening to reflect this.